This October, the Ackerman Institute for the Family held its tenth-annual Moving Families Forward Gala in support of the vital programs and services that the Institute provides for children and families in need. 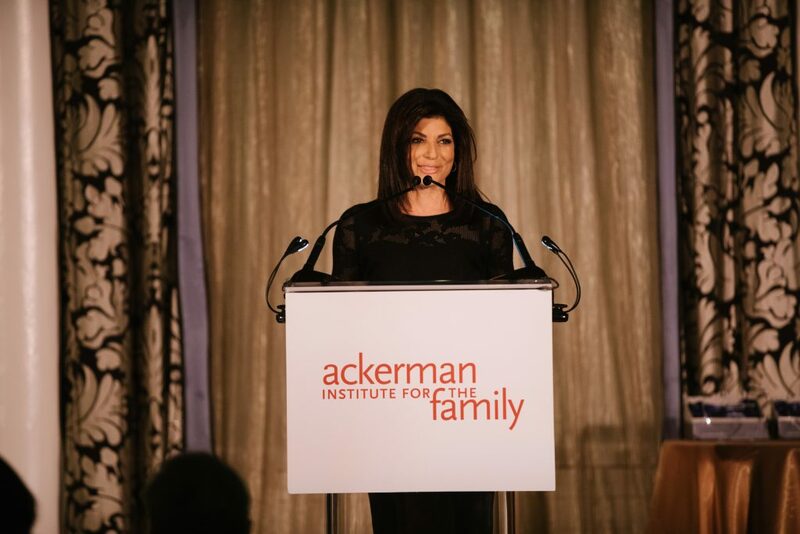 Nearly 250 Ackerman supporters gathered at the Waldorf Astoria for a very special evening hosted by the Emmy Award-winning WPIX 11 news anchor, Tamsen Fadal. Guests were treated to a live-jazz cocktail reception in the Vanderbilt Room, and bid on luxury items donated by friends and supporters of the Ackerman Institute. A spirited live auction led by Sotheby’s Executive Vice President, C Hugh Hildesley encouraged guests to raise their hands to help the Institute reach its fundraising goal while treating guests to Hildesley’s sharp-witted commentary. 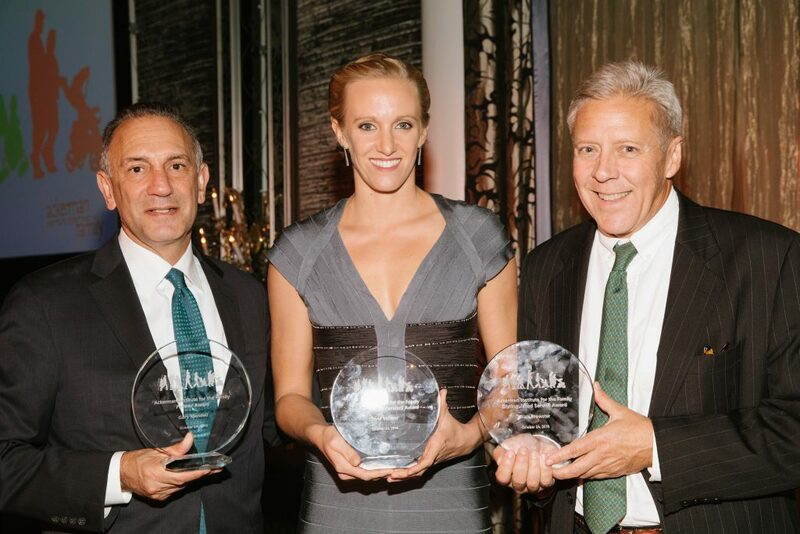 Gary Mendell, Founder and CEO of Shatterproof.org was awarded the Ackerman Partner Award for his dedication to reducing the devastation that drug and alcohol addiction causes families. Mendell’s important work compliments the Ackerman Institute’s non-pathologizing approach to supporting families in distress, and recognizes family as an important and often overlooked resource on the road to healing and recovery. Blair Brewster, Entrepreneur and Ackerman Board Member was presented with the Ackerman Distinguished Service Award for his many years of board leadership, service and generosity. Brewster was recognized for the many contributions he has made to the Ackerman mission over the years, and for guiding the Institute’s 50+ years of service into the digital space. Dana Vollmer, 7x Olympic medalist in swimming was awarded the 2016 Ackerman Moving Families Forward Award. Vollmer is one of the most gold-medaled female Olympians of all time and continues to train and swim competitively while raising a family. Her 2016 gold medal in swimming is USA’s first gold medal won by a mother, an achievement that encourages women worldwide to pursue their professional careers longer and later into their lives. Gala honorees and hosts crowned the evening with inspiring words about the importance of family connections and the meaningful impact that family therapy can make in our lives of [ordinary people/everyone]. 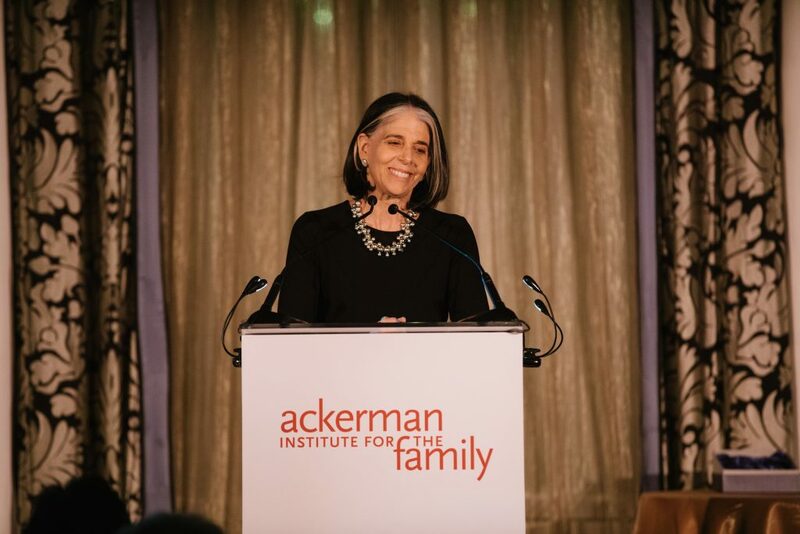 Each of the speakers drew from wisdom gained through their rich professional careers and spoke about the personal experiences that resonated with the Ackerman Institute’s commitment to helping families in need. Our brains light up when we have a meaningful connection, it lights up when we feel deeply understood and accepted. …It is what helps us feel hopeful and allows us to consider change. This is why family therapy is so important and why it has had such a remarkable success in helping families create change. So when you leave tonight, remember that how we talk to one another matters. Light up your loved ones wires!